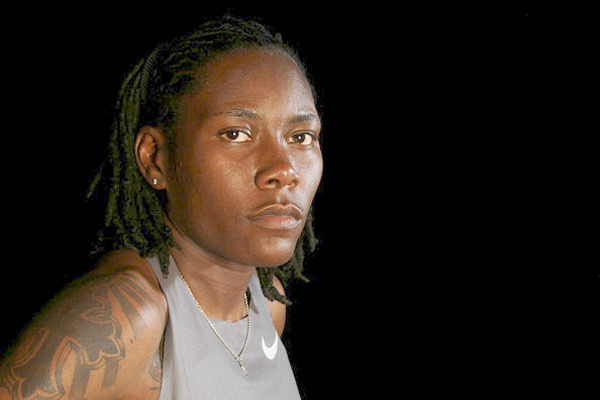 Brittney Reese is an American long jumper, Olympic gold medalist, and is a five-time world champion. Reese is the indoor American record holder in the long jump with a distance of 7.23 meters. Born in Inglewood, California, Reese is a 2004 graduate of Gulfport High School, where she became state champion in the long jump and triple jump. She later attended MGCCC and the University of Mississippi. Reese was a member of the women’s basketball team at MGCCC and was recently inducted into their sports Hall of Fame. She was the NCAA Outdoor Champion in long jump in 2007 and 2008. 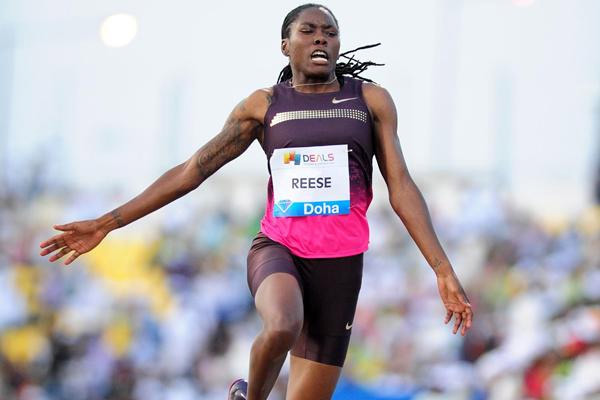 Reese set a personal best in the long jump of 22 feet, 9.75 inches (6.95 meters) in July 2008 in Eugene, Oregon at the U.S. Olympic Trials to qualify for the 2008 Summer Olympics in Beijing. At the Olympics, Reese had the best qualifying jump at 6.87 meters. However, Reese placed fifth in the final, with a jump of 6.76 meters. On May 24, 2009, in Belem, Reese extended her personal best to 7.06 m (0.7 m/s wind). This brought her to third on the American all-time list, behind Marion Jones and Jackie Joyner-Kersee. At the 2009 World Athletics Championships, in Berlin, Reese won the long jump title with a jump of 7.10 meters, beating defending champion Tatyana Lebedeva. Reese is the third youngest champion in the history of the event. At the 2010 IAAF World Indoor Championships, Reese won the gold medal in the long jump with a jump of 6.70 meters. At the 2011 World Championships in Athletics, Reese successfully retained the gold medal in the long jump with a jump of 6.82 meters. At the 2012 IAAF World Indoor Championships, Reese successfully retained the gold medal in the long jump with a jump of 7.23 meters. She became the first woman to win back-to-back World indoor titles in the long jump when she landed a 7.23 m last round effort, the longest mark indoors since 1989, a new American record and third on the all-time indoor lists. At the start of the outdoor season she broke Carol Lewis’ long-standing meet record at the Mt SAC Relays with a jump of 7.12 m.
Reese won her third consecutive long jump world outdoor title at the 2013 World Championships in Moscow with a jump of 7.01m, beating Blessing Okagbare narrowly by 2cm. On November 14, 2011, Reese donated 100 turkeys and her time to various homeless and religious organizations in her community of Gulfport, Mississippi as her way of “giving back” to the community that has supported her throughout her athletic career. She wanted to make Thanksgiving a little easier, in an area where there are few resources for those in need. On October 26, 2012, in conjunction with the Gulfport School District celebrating “Brittney Reese Day”; Reese created the B.Reese Scholarship which will be awarded annually to 1 male & 1 female student who has been accepted to a 2-year or 4-year college. She is the FIRST and ONLY long jump athlete (Male or Female) to win 5 straight World Championships. Off-the-track the proud Ole Miss alum is committed to giving back by speaking to youth and women’s organizations about eating healthy, exercising daily and working hard to pursue their dreams. She wants to use her platform to end Childhood Obesity. Last year she was featured long jumping in Apple’s product demonstration of their new slow motion feature for their iPads at their headquarters. She lives in the San Diego area with her dog, Caesar and trains at the Olympic Training Center there. She is a huge advocate against animal cruelty and volunteers with the ASPCA.